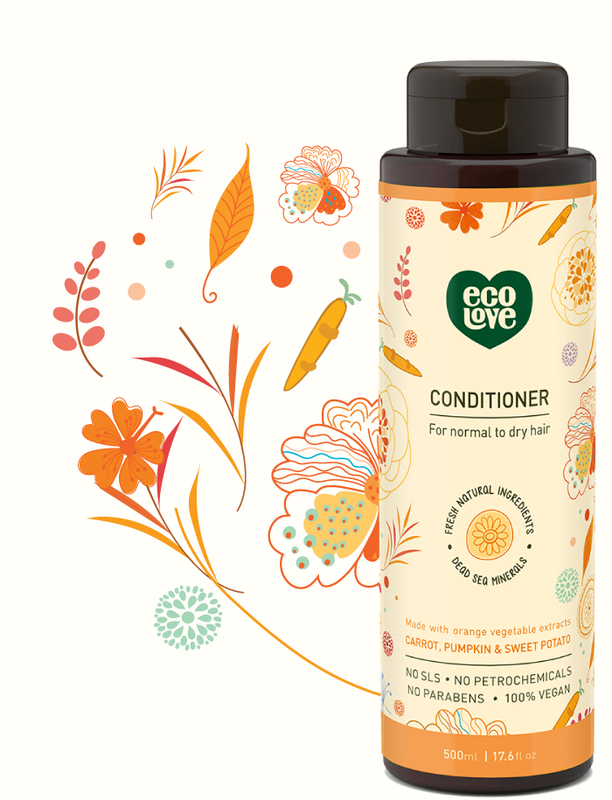 Made with organic orange vegetable extracts from carrots, pumpkins & sweet potatoes. Enriched with Dead Sea water. Water, Aloe Barbadensis Leaf Juice, Cetyl Alcohol, Glycerin(Vegetable origin), Simmondsia Chinensis(Jojoba) Seed Oil, Cetrimonium Chloride, Phenoxyethanol, Prunus Amygdalus Dulcis(Sweet Almond) Oil, Dead Sea Water (Maris Aqua), Fragrance, Calendula Officinalis Oil, Triticum Vulgare(Wheat) Germ Oil, Daucus Carota(Carrot) Juice, Anthemis Nobilis( Chamomile) Extract, Triethylene Glycol, Zingiber Officinale(Ginger) Root Extract, vitis vinifera(Grape) seed oil, Cucurbita Pepo(Pumpkin) Extract, Olea Europaea(Olive) Fruit Oil, Ipomoea Batatas(Sweet Potato root) Extract, Citric Acid, Rosmarinus Officinalis(Rosemary) Extract, Tocopheryl Acetate (Vit.E).